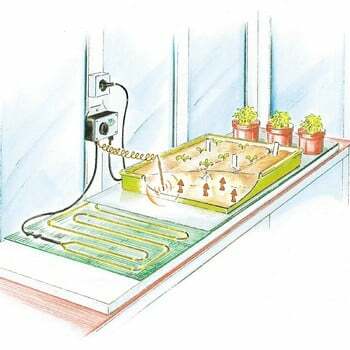 These Propagation Heating Mats with fully adjustable thermostat and soil sensor will turn any potting bench into the propagation nerve centre of your greenhouse, available in 4 sizes. Available in 4 sizes, each mains-powered propagation mat is fitted with a fully adjustable thermostat and soil sensor, helping to ensure the temperature of the rootzone soil is accurately recorded and giving your seedlings every chance of germinating uniformally and developing strong roots. 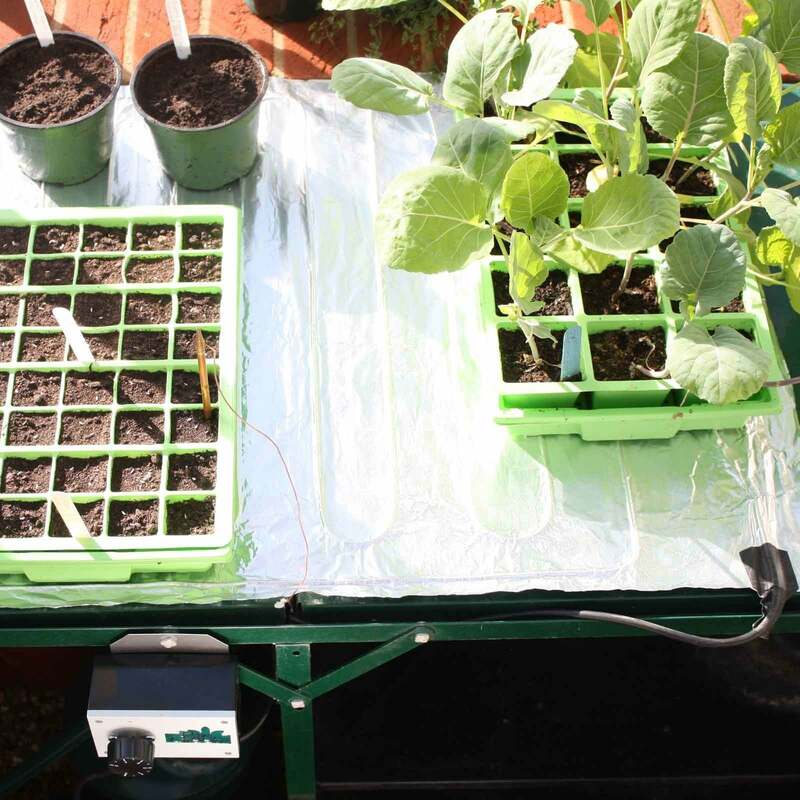 The heated propagation mats are spray-proof, suitable for overwintering container plants and have a 3 year manufacturer's warranty. This is a really useful piece of kit. 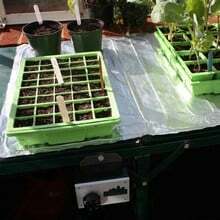 It is ideal for those with a greenhouse bench to heat - it is probably the most cost effective way of creating a temporary heated bench in a greenhouse. I tested the 40cm x 70cm mat (the smallest model) but there are many different sizes available. The heat mat offers even heat distribution across a bench, and works best when placed on insulating material, such as polystyrene. 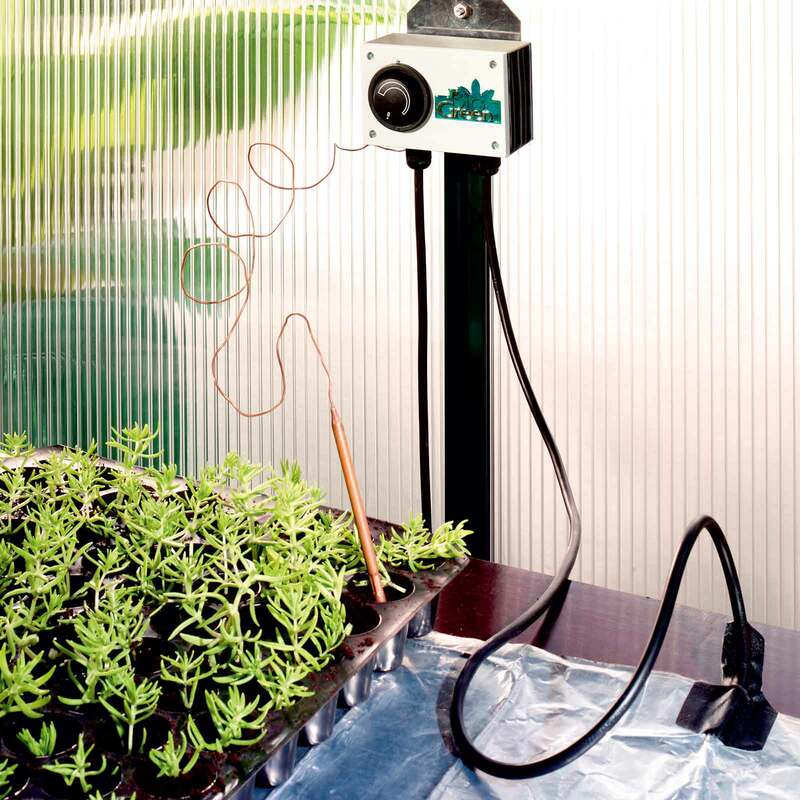 It comes with a soil sensor and thermostat and you can set the temperature up to 40 degrees C. It's perfect for overwintering tender specimens, germinating seeds, and taking cuttings. 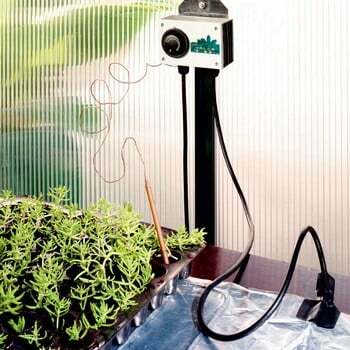 The aluminium mat is spray waterproof, and can be rolled to store. My biggest criticism about this mat is that the instructions are complicated. It is actually really easy to set up, but it took me a while to work that out. If you're overwintering or propagating plants in an unheated greenhouse, then this heating mat will allow you to just heat one area, which will be far cheaper. Propagators on Test - Dave Finkle's favourite gardening gear. 5***** Very Straightforward to install, just unroll it and plug it in! 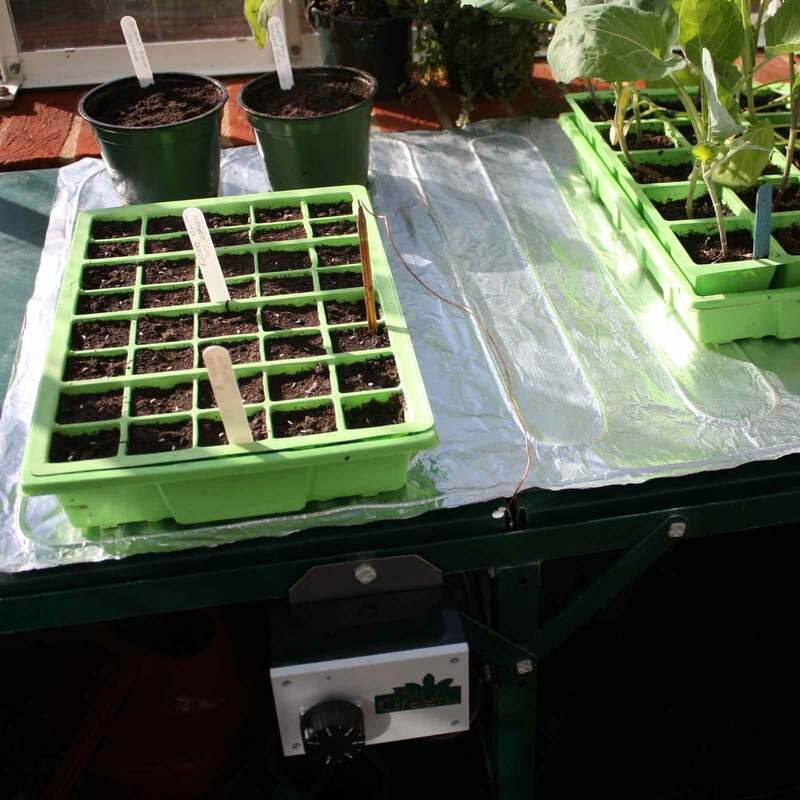 A sensor is placed into the soil of your seed trays. 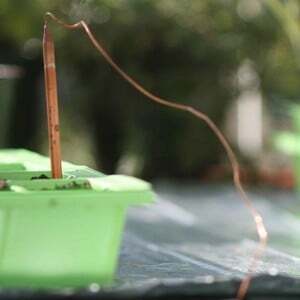 This approach completely focuses on soil temperature. The mat can also be used to overwinter pots. Several sizes are available and the price adjusts accordingly.